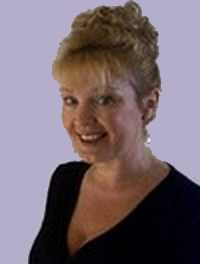 Alizon's Psychic Secrets Newsletter, Issue #007 -- Are You Psychic? & more with a Magic Spell Infused Talisman by Alizon. Psychic ability can be defined as perceiving, receiving, or conveying information without the use of the other five senses (sight, touch, hearing, taste and smell). Everyone has the ability to do this, or at least the potential. All senses can be developed, and the Sixth Sense is just the same. Just like a blind person develops enhanced senses of smell and touch, so can a regular person develop their Psychic Sense. There are many forms of psychic ability, and knowing about them and understanding them is the first step to helping you develop a strong Psychic Sense - or be more aware of your abilities. If you are determined to develop yours, it's best to tackle one area at a time. Meditation and practice are the best way to develop one's psychic abilities, but there are lots of other things you can do too. Ever wanted profound psychic insight into a problem or situation in your life? You can get this from an experienced Psychic - absolutely free. Take advantage of Alizon's FREE Psychic Service where she will give advice and guidance on your particular problem, with predictions and actions you can take to help you. I get so many questions from people asking whether the one they are with is their Soul Mate. The problem is, many people are reluctant to give up on the person they are with, hoping that things will get better. They feel that it's certainly better than going out into the world again, as a single person, trying to find their perfect match. It is true that sometimes things do get better, and it would be a mistake to give up on someone, especially if they are the One, after all. On the other hand, you need to know whether you should split up, because you might be wasting your time with the one you are with, when you should be splitting up and making space for real love to enter your life. A good technique is to use is active visualisation. Can you see, in your mind's eye, being with the one you are with now, in 5 or even 10 years time? Can you seen them as part of your family's and your friend's network? Be honest, can you? Trust your instincts, because 9 times out of 10, the truth will be revealed to you in your own imagination. Don't hesitate to get help with some vital insight. A specific, powerful and insightful Soul Mate Reading will show you the way! I always advise people to trust their gut feelings about things. We all have the innate ability of Empathy, and this means we can sense what others are feeling, without them having to verbalise it. Subtle signs are betrayed by behaviour, emotions, the way things are said, and the things that are said - and all this can add up to a growing awareness of a partner's infidelity. But even when we are aware, it is hard for us to trust mere feelings, because we prefer to rely on physical evidence, or better still, a confession. In fact, a lot of people are so reluctant to believe what they sense or feel about their partner's cheating behaviour, that nothing short of a confession will be enough, even if other evidence mounts up to such a degree that they are simply deluding themselves by burying their head in the sand. If you have a strong suspicion that your partner is cheating, then they probably are. 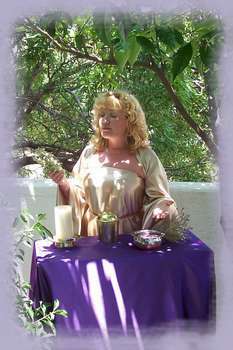 Helen J. receives a powerful Spell Infused Pentagram for protection, power and attraction.